Kay Murray is the guest presenter for our February Friday Showcase, which is on this Friday 2 February. 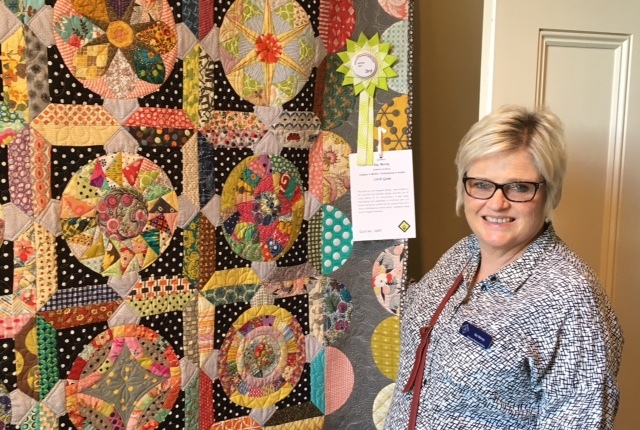 From her early years on a Merino sheep property in rural NSW, to a secondary school teacher specialising in textiles, long arm quilter and award winning quilter, Kay would seem to have lived a life surrounded by textiles. 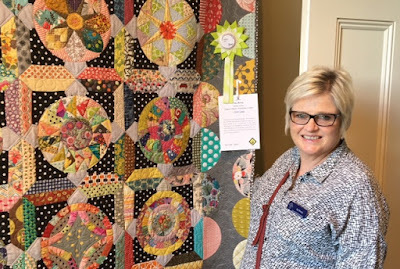 Kay describes herself as 'a bit of a dabbler’ in quilting styles, enjoying traditional and modern quilts, scrappy and art quilts and admits to most often making scrappy quilts in a vain attempt to use her ever-growing stash. A member of ATASDA, Kay incorporates hand dyeing and surface design in her art quilts and other items, quilting with a ‘grafitti’ style to produce stunning quilts with unique appeal. Friday Showcase is held most months at our QuiltNSW office, 276 Pitt Street, Sydney, close to Town Hall Station. The presentation starts at 10am, with an entrance fee of $5 for members or $10 for guests.